A favorite of Seed Savers Exchange staff! 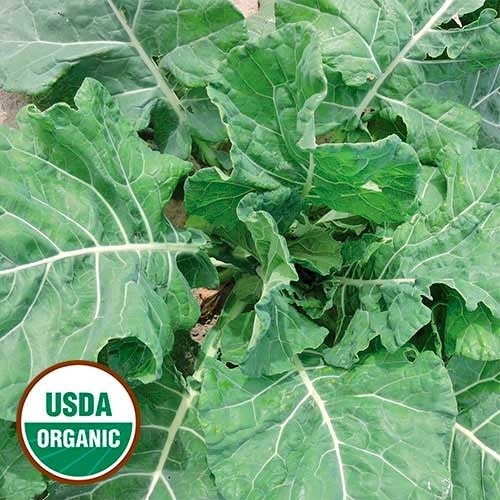 This heirloom collard dates to at least 1935 and produces green, elliptical, tender leaves with a sweet, slightly fruity taste. The plants measure 15-22" tall by 22-35" wide and fare well in low temperatures. It was originally grown by Ellen Felton of Beaufort County, North Carolina, and acquired by SSE from the USDA in 2016. 60-80 days.